Mahopac, built by Z. & F. Secor at New York, was launched 17 May 1864 and, after a trial trip 20 August, commissioned at New York, Comdr. 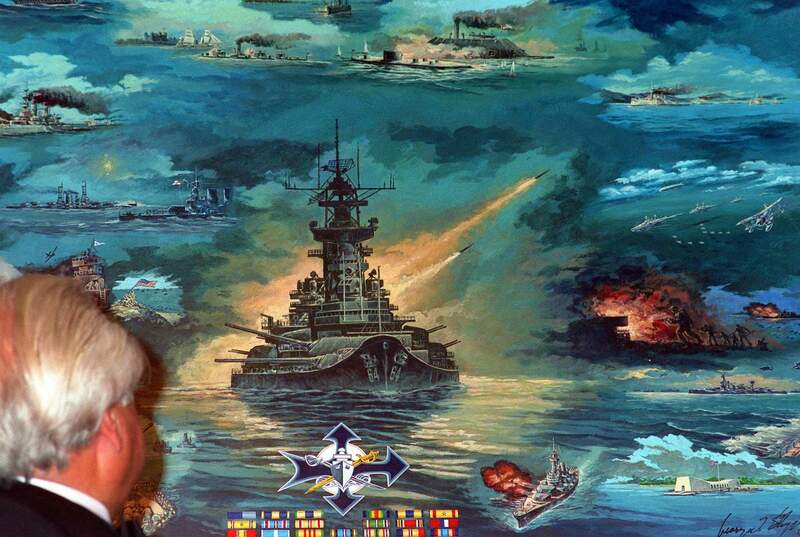 William A. Parker in command. The single-turreted monitor participated in the joint attack on Charleston 9 September. 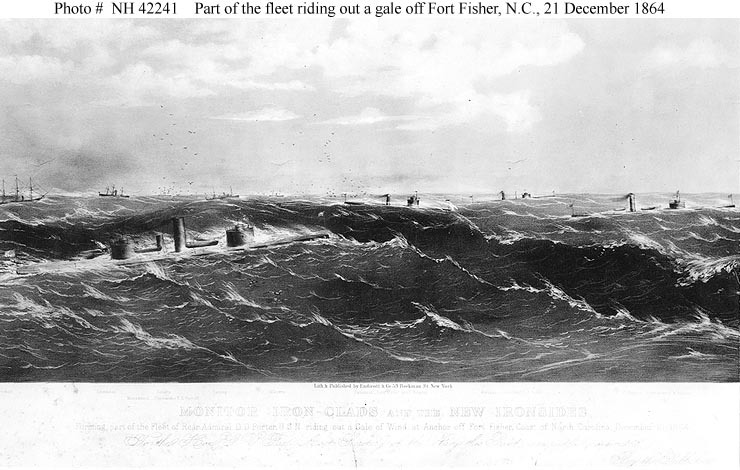 She operated on the James River in the autumn and steamed to the Wilmington area in time to join the bombardment of Fort Fisher 24 and 25 December 1864 and 13 through 15 January 1865. In the latter attacks, which doomed Wilmington, she was hit eight times without serious damage. Next steaming to Charleston, Mahopac remained there on picket duty until 8 March when she returned to Chesapeake Bay. 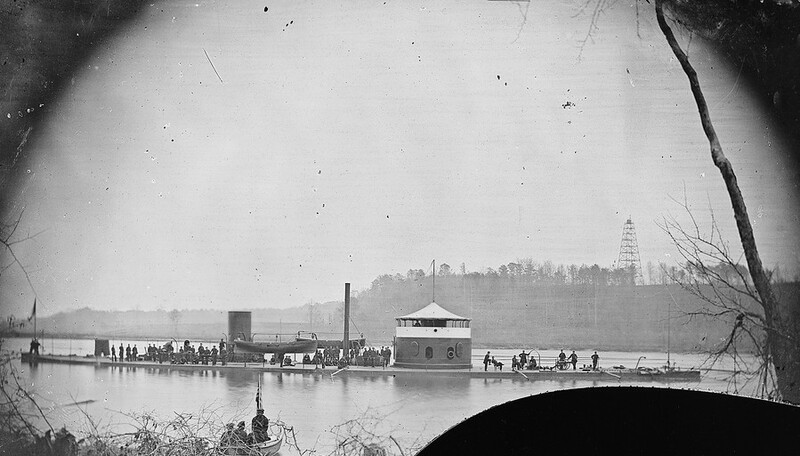 In April, she and sister Union ships helped General Grant's force in the capture of Richmond. She decommissioned in June and laid up at the Washington Navy Yard. 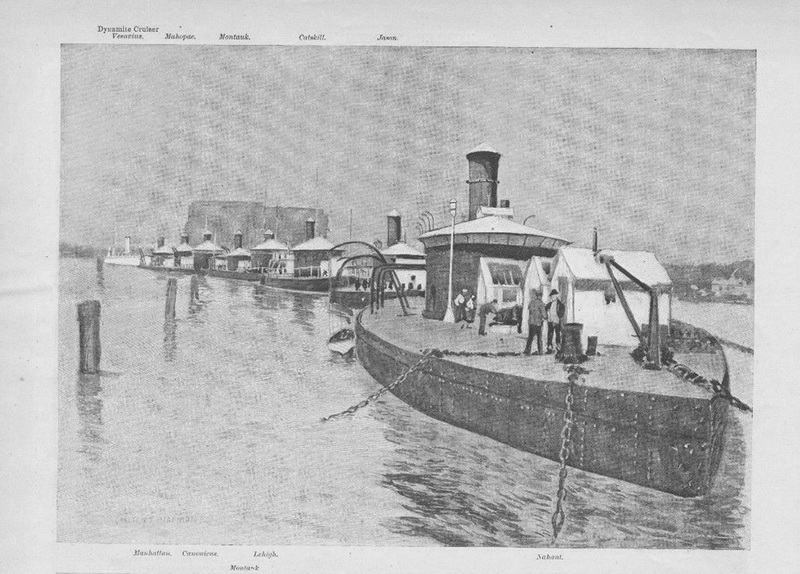 Mahopac recommissioned 15 January 1866 and operated along the east coast. Renamed Castor 15 June 1869, she resumed the name Mahopac 10 August. Going into reserve at Hampton Roads 11 March 1872, she recommissioned 21 November 1873 and sailed to Key West for fleet drill and remained there over 2 years. In 1876 she steamed to Port Royal and moved to Norfolk in July 1877. 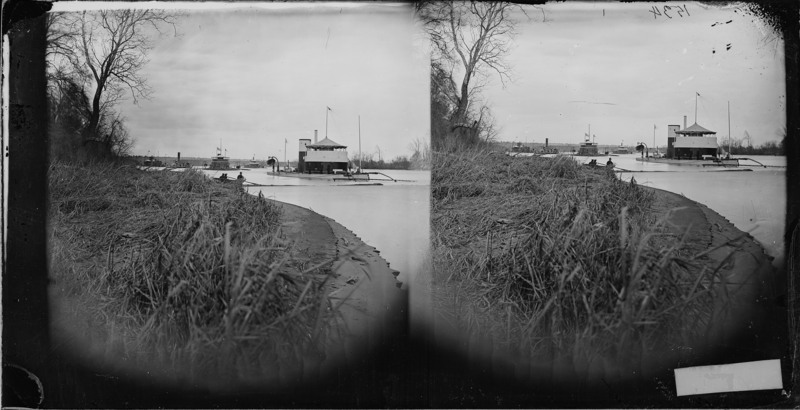 She was stationed with several other monitors at Brandon LandIng until March 1880, when she proceeded to City Point, where she was based until 1888. She was in ordinary at Richmond 1889-95, then moved to League Island. She was struck from the Navy Register 14 January 1902 and was sold 25 March 1902. Fate: Stricken for disposal 14 December 1901; sold for scrapping 24 March 1902. 135k Mahopac in the Appamatox river, 1 January 1864. Photographer unknown. National Archives photo NWDNS-111-B-409 viaa Robert Hurst. 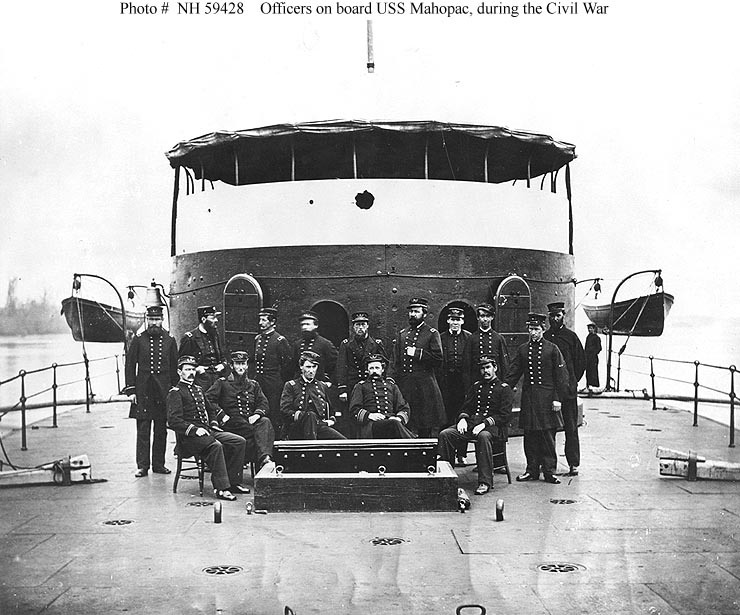 102k Mahopac officers on deck, probably on the James River in the spring of 1865. Note gun port covers hung on the monitor's turret, apparent shot hole in the bullet-proof iron screen at the turret top, and bell on the turret side. Photographed by the Matthew Brady organization. The original negative is # 111-B-418 in the National Archives. U.S. Naval Historical Center Photograph. USNHC # NH 59428. 118k Washington Navy Yard, District of Columbia. View looking south from Building # 1, showing the trophy gun park in the foreground, with coal piles and the sheer crane beyond, circa 1866-69. 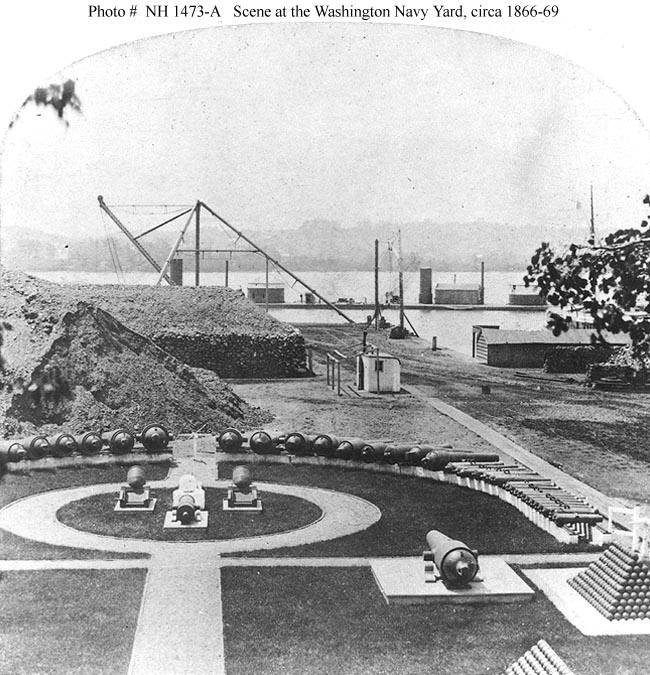 Most of the guns visible are former Confederate pieces, many of which were still on exhibit at the Washington Navy Yard in the year 2001. 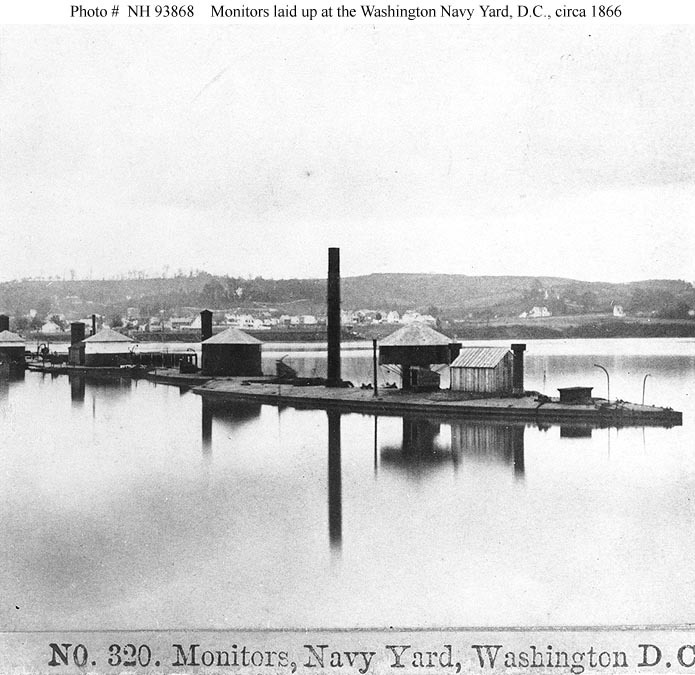 The monitors Mahopac (center) and Saugus (right) are laid up in the Anacostia River, in the background, with their turrets still painted as they were in 1864-65. Courtesy of Robert A. Truax, 1978. U.S. Naval Historical Center Photograph # NH 1473-A. 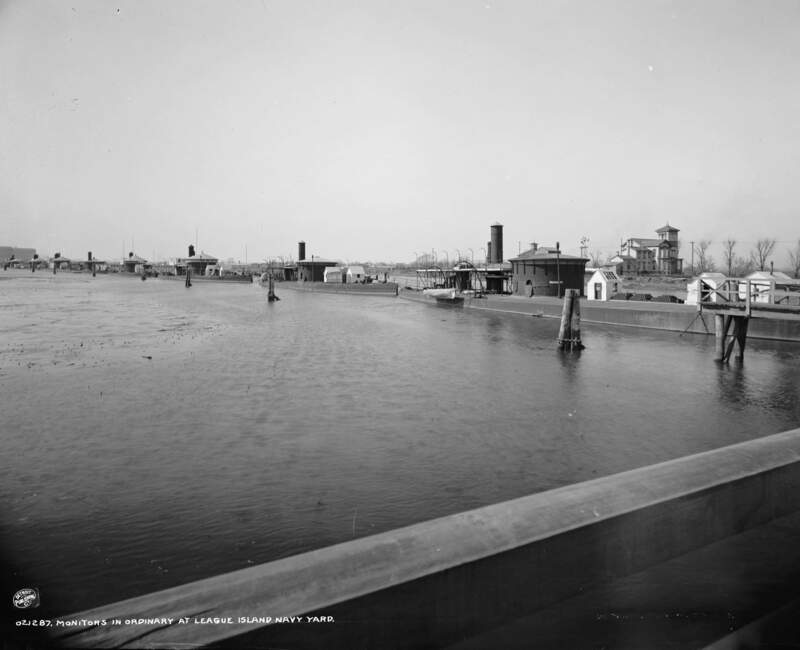 89k Four monitors laid up in the Anacostia River, off the Washington Navy Yard, circa 1866. Ships are (from left to right): Mahopac, Saugus, Montauk (probably); and either Casco or Chimo. Photo mounted on a stereographic card, marked: "Photographed and published by Kilburn Brothers, Littleton, N.H.". Courtesy of Paul H. Silverstone, 1982. U.S. Naval Historical Center Photograph # NH 93868. 134k Washington Navy Yard, District of Columbia. 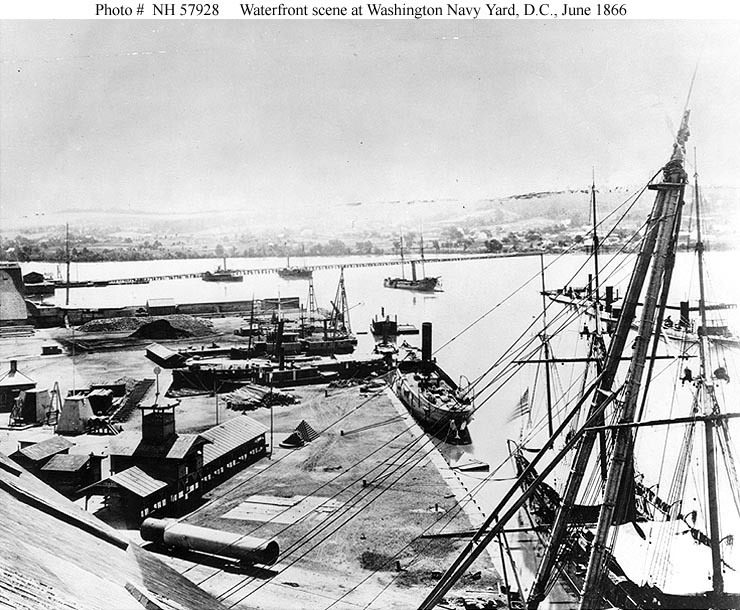 Washington Navy Yard, D.C. View looking eastward along the waterfront from atop the roof of the western shiphouse, June 1866. The 11th Street bridge and the Anacostia shore are in the distance. 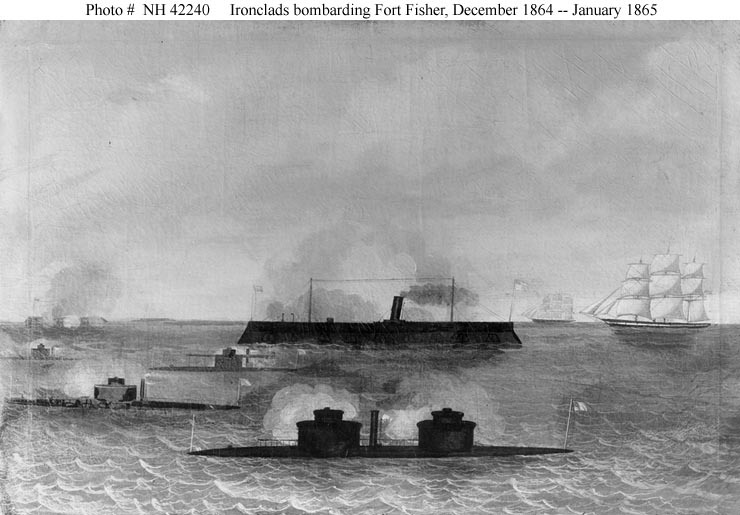 Ships in the stream at right include three monitors and a former Confederate torpedo boat of the large David type. Monitor to the left in that group is either Chimo or Casco. The other two are Mahopac (center of group) and Saugus (to right). The ex-CSS Stonewall is anchored in the river, in the center of the view. Half visible on the marine railway (at left) is a "double-ender" gunboat, probably Ascutney. Dismasted screw steamer alongside the waterfront in center may be Marblehead. Ship in right foreground, alongside the masting sheers, may be Resaca. The experimental firing battery is just beyond the shiphouse, in the left center foreground, flanked by what appears to be a ship's smokestack on one side and a mortar and a shot pile on the other. Photographed by Brady & Company, Washington, D.C. U.S. Naval Historical Center Photograph # NH 57928.